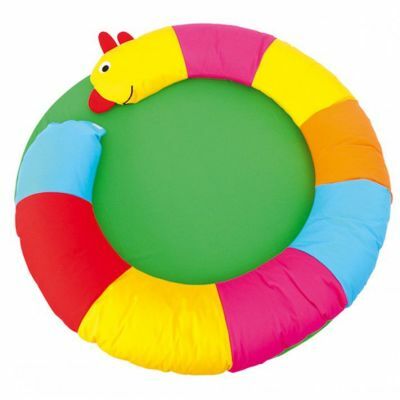 Suitable for children aged 9 months to 10 years this caterpillar mat makes a safe and exciting accessory for play areas and classrooms. Ideal for young babies and toddlers, featuring cushions to support and help them keep their balance. Made from cotton fabric and stuffed with foam making it extra comfortable and safe.